The Giza Necropolis is an archaeological site on the Giza Plateau, on the outskirts of Cairo, Egypt. 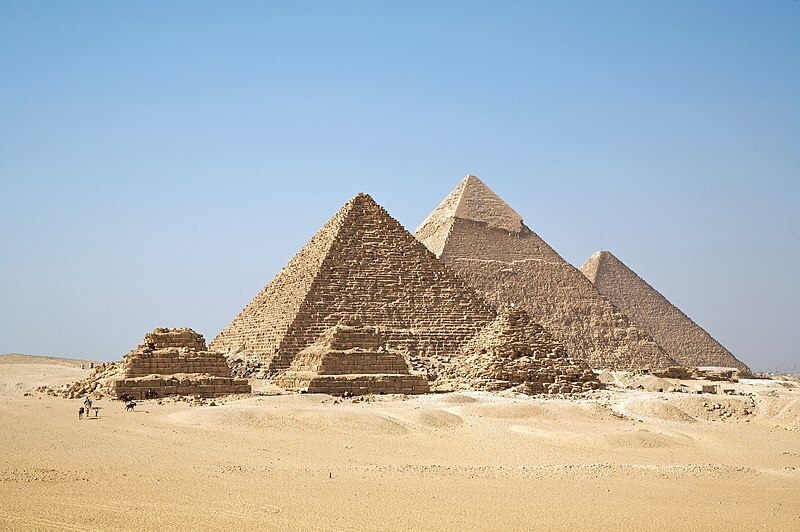 This complex of ancient monuments includes the three pyramid complexes known as the Great Pyramids, the massive sculpture known as the Great Sphinx, several cemeteries, a workers' village and an industrial complex. It is located some 9 km (5 mi) inland into the desert from the old town of Giza on the Nile, some 25 km (15 mi) southwest of Cairo city centre. The pyramids, which have historically loomed large as emblems of ancient Egypt in the Western imagination, were popularised in Hellenistic times, when the Great Pyramid was listed by Antipater of Sidon as one of the Seven Wonders of the World. It is by far the oldest of the ancient Wonders and the only one still in existence.